Successfully Added Full HD Rearview Mirror DVR - 1080P, 120 Degree View, 2.7 Inch Screen, G-Sensor, Motion Detection, Loop Recording to your Shopping Cart. This discreet dash cam almost goes unnoticed as its build directly into a slightly oversized rear view mirror, that simply clips over the existing mirror in your car. With the 30CM mirror you can get a good view behind you while the 2.7 inch built in display shows exactly what the camera is picking up on the road. Alternatively switch on the screensaver mode and use the full mirror unimpaired. 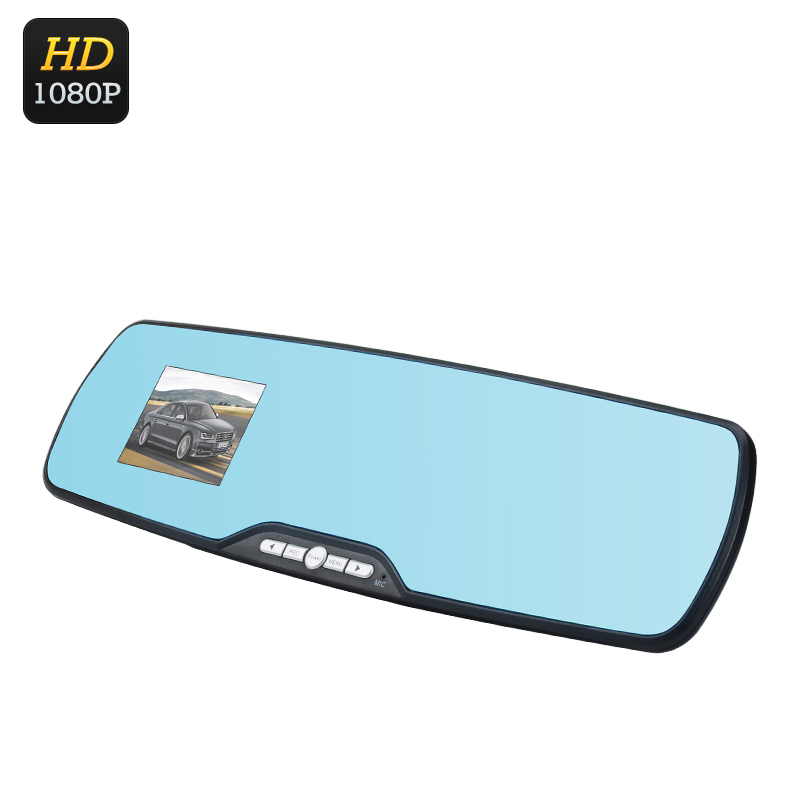 With its 1/4 inch CMOS and 120 degree lens this rear view mirror DVR will cover the full road capturing all the details as they unfold. It has loop recording, ensuring you won't run out of storage space on your SD card, although with 32GB SD card support you will have plenty of room to save footage and can even record those scenic road trips in all their glory. This Rear View Mirror Car DVR comes with a 12 months warranty, brought to you by the leader in electronic devices as well as wholesale dash cameras..